I feel I have always been an oenophile...though my life has transported me across the globe. Life brought me to America, yet I was born, raised, and educated in Greece. Then I teleported myself to Lawrenceville, New Jersey and I've been in the heart of the Garden State ever since then. I have embraced this community, society and culture and have thrived in it. 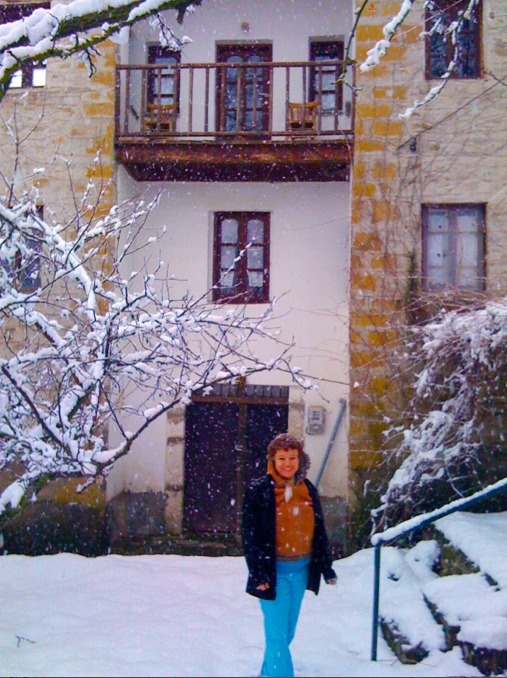 I was born in a very remote mountainous village in Northwestern Macedonia in Greece, and my maternal grandmother was the owner of a lot of farmland and a three story, big stone house, where I was born. As a kid I would see the cellar of this house and see this beautiful big, huge barrel, but I didn't know whose it was, I didn't know what was it all about...only to find out later on in life that my grandmother was a wine maker! A serious oenophile herself! 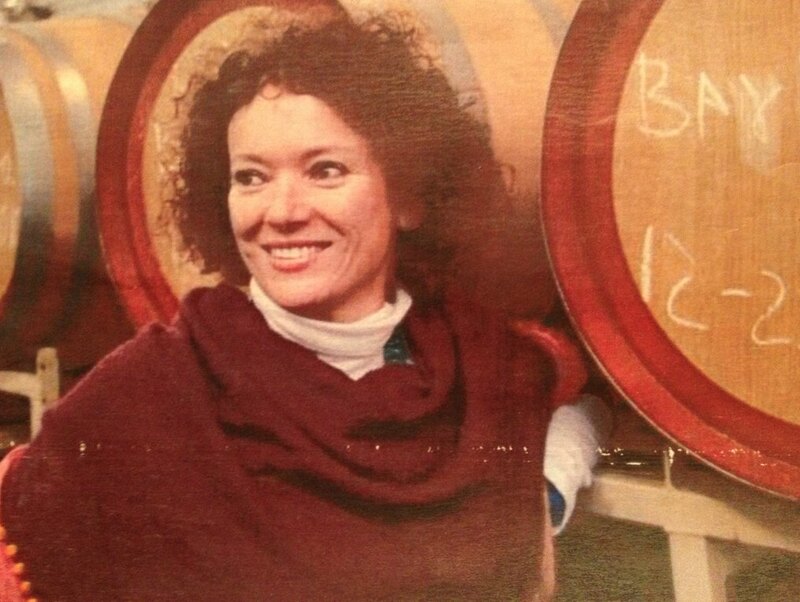 She was producing every single year from her ambelaki (little grape vine) a big barrel of an archaic variety of white wine that she was planting and harvesting - and that was good enough to last for the year. Knowledge and tradition was passed onto her daughter - my mother - who would make her own little barrel - but smaller. They were my family's original oenophiles! But these ladies were having some real wine appreciation going on in their lives up in the village! For me, I didn't come into the wine making lifestyle - or in our case, profession - until much later on in life, when it was fate, that this is where I find myself now with my husband Sergio. How do you balance work and wine? I live and work in a winery and vineyard, and I wake up in the morning I find my life exciting, engaging, I very much enjoy and appreciate wine drinking...good wine. We do produce good wine. My husband is the winemaker here and is very attentive to making wines in the old traditional Italian way, which nowadays is more and more appreciated in New Jersey, which is trying and successfully making its own mark in the wine making world. I very much enjoy traveling for business, and going to places in different nations, different farms and vineyards. Trying wines. Appreciating what they do. I really find wine to enhance the quality of my life. It's not just chugging a beer - smelling, swirling, sipping a glass of wine helps us slow down. And this is very important in life. We all move so fast, and are so busy, all the time, that we don't find many easy ways to slow down and embrace life for a minute or two. Cook slowly. Eat slowly. Drink slowly. Chat a while. This is the best way to wrap up your day, the oenophile way! Have you always loved wine and been an oenophile? Going back to Evanthia (my grandmother) when I was a child she would dip her finger into her wine glass and have it touch my lips, as with coffee, so not surprisingly I grew up with a deep liking and true appreciation for both coffee and wine. And I have, quite frankly developed a very exclusive, a very strict by choice liking of red wines - the bolder, the drier, the better. This is of course one person's opinion and one persons choice in wine drinking. There are wines of all types, white, red, and rose. All kinds of varietals and hybrids that are really fantastic. So people should really get to know what they like and appreciate what they like. Some people ask me, "So you think white wines are bad?" and I say "No, not at all!" If that's what someone likes, that's fantastic that they've discovered the wines they excite them most. I'm just telling you about what I, as one person amongst billions of people, that's what I like. Whats your favorite hvv wine? I like all of the red wines, because they're all fermented dry. However, I cant give you one specific wine constantly, it depends on the vintage, as well as other factors. Cabernet Sauvignon is one of my good old favorites and standard ones, however the Chambourcin of this particular vintage I find truly interesting. It has a fuller body than usual, beautiful tannins, dark color, very enjoyable. And I always enjoy our Barbera, too, it's another stand out wine that has both a unique complexity, a spicy undertone and tannic structure, but also totally drinkable and enjoyable in most all circumstances. And both the Chambourcin and the Barbera are 100% estate wines, so they're very local products but on par with any other wine in their class, in the world. I believe that, and I'm proud of that. My husband is the vintner and he's great at that. And given the fact that we're a small facility and boutique winery, we only produce 55,000 to 60,000 bottles a year maximum of our estate wines, which is enough of a production to have the business rolling year round. So living and working on the vineyard, witnessing year after year the grapes maturing, the autumn harvest, the wine pressing, the entire process, naturally as an oenophile I got the inspiration and I ventured out in creating my own wine. Given that I'm quite strong in my convictions (stubborn, really!) my wine has already been aging three years, and I'm not ready to release it yet! I'm dreaming of a label called "V" for Violetta...and Vino...and VaVoom! So that will be coming out in a few months - I'll go check it out and let you know! On The Vine is sent at the beginning of each month, straight to your inbox!